I recently posted some videos on the topic of sedevacantism. Please know I am not a sedevacantist. Still, I do find this somewhat of an interesting topic, and for some it’s particularly timely because of a plethora of criticism of Pope Francis and the current state of the Church. I imagine the sedevacantists are having a field day with all of the scandals, and perhaps getting more inquiries than normal. John Salza is an author who has taken on the sedevacantists. Here is a two-part interview he gave to Brother André Marie on that topic, which I think is pretty good. Again, I know very little of sedevacantism, and I’m no canon lawyer, so a lot of this is over my head. My take is to generally dismiss the sedevacantists as crackpots, but I can’t entirely deny some of their concerns, and I assume many of them have some integrity. But I just can’t accept their position. Salza and Siscoe, co-authors of the book True or False Pope? Refuting Sedevacantism and Other Modern Errors, have been challenged by a number of sedevacantists. I have not really examined those challenges, but you can find them online. However, me sense is that those challenges are likely rather thin or outright silly. 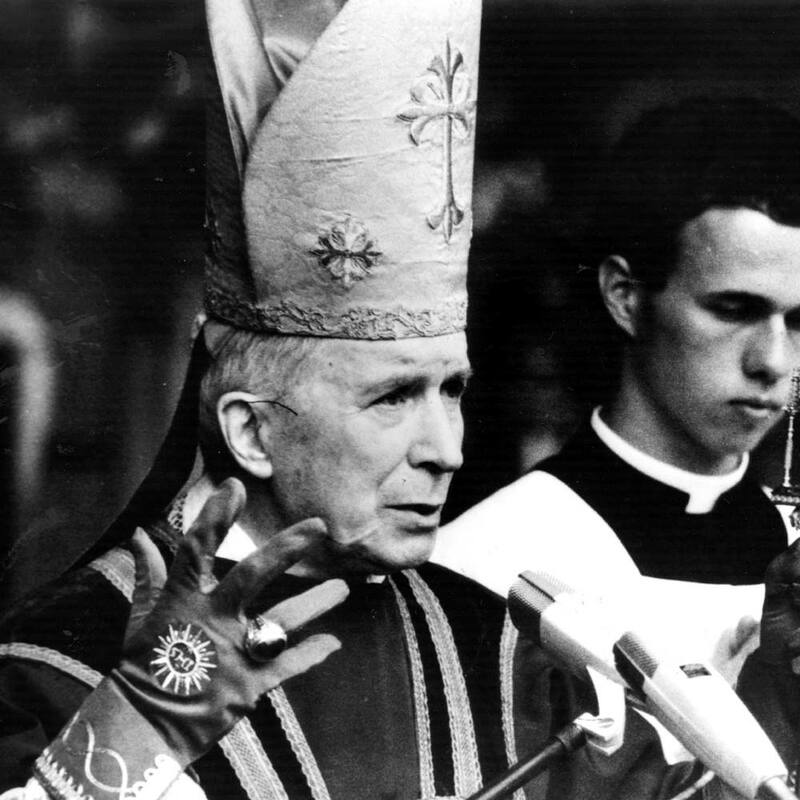 The fact that Archbishop Lefebvre never gave into sedevacantism speaks volumes regarding the sedevacantists’ claims. Even when Lefebvre stood in strongest opposition to Rome, he always believed the Pope sat on his chair. A lot of Christians in the U.S. publicly complain about persecution at the hands of the godless secular society. They are sued, or spit on, or yelled at, or denied service, or given the stink eye, or sent bad tweets — and they wail against the injustice. A lot of Christians fight back, protesting, holding signs, denouncing their enemies, and even using the court system to make others treat Christians better. And, sadly, many Christian attack each other too. They publicly call out their brothers and sisters before other Christians as well as the godless society at large. They do this on social media of course, but also in the courts. A lot of Catholics also complain about the Church, about bad bishops and bad popes, about weak leadership and false doctrine. They complain about bad liturgy and poor catechesis. Why doesn’t the Church do this, or that? What’s wrong with all those other Catholics? Why are they destroying the Church? Do we take these words seriously? If we did what would we be doing differently? I know Catholics who hate Pope Francis. They complain and denigrate the holy father. I’ve written before about my struggles with the pope. I understand the struggle, but who is the real enemy here? If the German bishops have gone off the deep end and are very publicly courting heresy, are they the enemy? 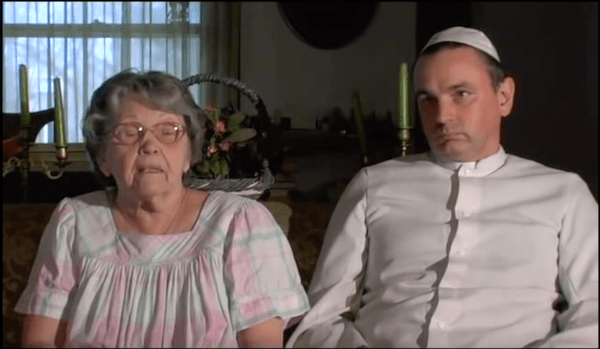 If Vatican II has wrought such damage, as some say, who is the real culprit? Many Catholics in Ireland just voted in favor of abortion, and then they loudly celebrate their win. Who’s victory is that really? People have always dug wells where they believe they will find water. But why do they think water is where they think it is? Why do so many people make poor choices? Why do so many people reject God? Why is there so much evil in the world? No human is innocent. We all have free will. We all must face judgement. But is the real battle between me, who is a sinner, and you, who is also a sinner? If we choose to love then has not the conflict ceased altogether? To battle is to seek the other’s defeat. To love is to seek their salvation. To be a Christian is to be Christ to others, and point them to Him. We are living in a creation that is running wild with demons. Sin and Satan are the forces at work. They will have their way if we do not fight them. But it is God, in fact, who fights our battles for us. The winds of the modernist demons have swept powerfully around the globe for the past 200 years. They have caught up millions of souls, including priests and bishops and even popes, and certainly many, many Christians. The spirit of the age is the spirit of the evil one — some might argue it is also the spirit of Vatican II. I hope not, but I’ll let you judge. Our battle, then, is not with each other. Our battle is against Satan and all his works and all his empty show. Put on the armor of God. Remember your baptism. Take up your cross. Rejoice in your sufferings. Love others as Christ has loved you. Let God and His mighty angels fight your battles. And lean into the fight. Carry the banner. Do not be afraid. God is with you. Trust Him. Pray, and pray, and keep praying. I write these words because I need to hear them more than I need to write them, but there they are. This lecture is worth the entire two and half hours. And it is a packed two and a half hours. Every bishop should watch it. Every priest too. It is profound and filled with riches to ponder and meditate upon. It is also filled with many challenges. Share it with others. Discuss it. I worry that a great many cardinals, bishops, priests, and perhaps some popes, from the last half century or more, will end up in Hell because of the destruction they have brought about. Am I way off? Is Mr. Rodríguez wrong? What am I missing?